The NBA regular season is officially over and now begins the two-month stretch that the Warriors have been preparing for all season long. The playoffs are here as the Warriors are set to take on the Los Angeles Clippers Saturday night to kick off their quest for a three-peat. Friday morning, ESPN’s Jeff Van Gundy joined Murph & Mac to discuss the Warriors, the NBA postseason, and which teams can give the Warriors trouble throughout the playoffs. This season for the Warriors and their fans has been nothing short of eventful. A drama filled season has had the team under the league’s microscope from the beginning. Despite all of the success in the regular season, it may have felt like a disappointment to some. In the NBA Playoffs, just like any sport, you should never overlook a team in the postseason. Chances are, the Warriors will handle the Clippers with ease, but will very quickly face some very formidable Western Conference opponents. Because the Warriors have had so much drama surrounding players such as Kevin Durant, Draymond Green, Klay Thompson, Jordan Bell as well as others, some may wonder if any of those distractions might spill into the postseason. Throughout the regular season, it became clear that the Warriors were not playing their best from time to time. Distractions and off the court issues may have contributed towards the team not enjoying the regular season as much as they should have. The first round will feature a Warriors vs Clippers matchup. This matchup is one that most expect to be very one-sided, but could the Clippers give the Warriors trouble early on? Last season the Warriors just barely beat out the Houston Rockets in the Western Conference Finals. 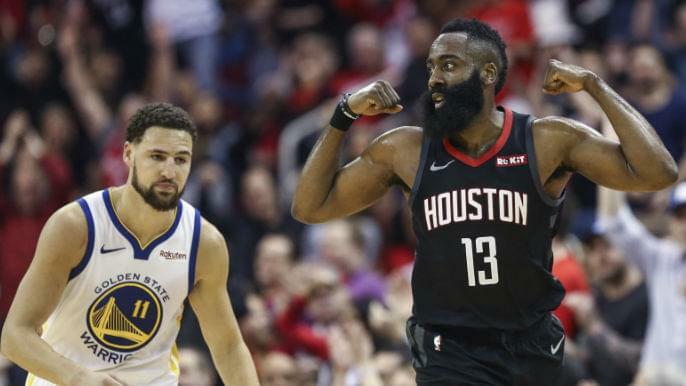 Beating Houston in Game 7, the Warriors were nearly taken down by James Harden and the Rockets, and there’s a chance that could happen again. There are some key differences between last year’s matchup and a potential Warriors-Rockets matchup this year. For one, they have different rosters. The Warriors obviously have DeMarcus Cousins. Most importantly, the Warriors are the ones with home-court advantage, instead of Houston. Before the Warriors even think about who they will play in the second round, they have to focus on taking down the Clippers first. Throughout a season of ups and downs and plenty of drama, the Warriors look to three-peat as champions despite a stressful season.